This is like a General Theory of Everything, but it is not really a "theory", it is more of a discovery, a spirit guided discovery! ...Imagine, if we could perceive in our Mind, two opposites created out of nothing at all - like going outwards while going inwards, so that these two opposites could interact together to create something. ...But simply going outwards and going inwards would just cancel each other out, we need to perceive two gendered types of opposites that could 'mate' together to generate 'Something', and then higher orders of this 'Something'. "Our Young deserve better than the old establishment clinging to their vested interests and feeding our students with principles and deceptions that perpetuate conflict. Unless voices from the fringe speak up, polarities in this world will get wider, until one day the inevitable will happen." Inventor and Physical Séance Spiritualist! Some things are so strange they are best told just the way it happened! That is the case with these profound insights into the deep connections between Gender, Spirituality, Creativity and Science - which culminates into the unifying factor of "Alternation of Opposites". This thought provoking true story also emotively illustrates the difference between outward religious practise and inner spirituality; but there is a twist towards the end! 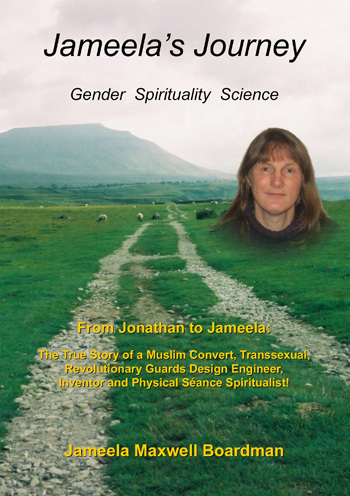 It is not an appeal for liberal mindedness; rather it is one very strange life-story that highlights a spiritual truth about gender that applies to us all: a passionate Journey through Engineering and Religion, then onto Spirituality and Science! As all the established religions have been deliberately manipulated away from their original message, this book will give you some food to think about in your own discernment of reality; and possibly of yourself! An autobiographical journey through seeming incompatibilities; bringing profound insights into the deep connections between Gender, Spirituality, New-Science and Creativity. All the way through this human narrative the philosophy is building: Starting from an innocent rural childhood within a very loving family, but secret gender identity issues. Trying to be a normal lad; wished to become a Vicar but messed up at school. Into rally car driving and engineering studies, then onto design. Met Farrah, an Iranian female mechanical engineer. Became an "intellectual" Muslim. Married and had two daughters but gender identity problem would still not go away. Family tragedy, turned to Islam strongly in aftermath - Powerful emotions - went to live in Iran during war with Saddam's Iraq. Invited to work for their Revolutionary Guards; amazing experiences with very high Muslims. War ended, returned UK to work on solar power. Facing the gender dysphoria, yet horrendous Muslim reaction on becoming a transsexual. Experiencing the negative side of religion, but then finding Spiritualism, Healing and developing Mediumship. Next 9/11 deception revealed, another life changing big shock - Growing in spiritual understanding and self-acceptance. Finally into profound philosophy and metaphysics: were New-Science and Spirituality meet in the Alternation of Opposites - and surprisingly, overlapping gender is the central clue! The "incompatibilities" that happened are described as opportunities for understanding to unfold! ...It is not the individuals or even the source texts; rather it is the system that is shown to be the problem! A very deep and extraordinary book, written from the heart. 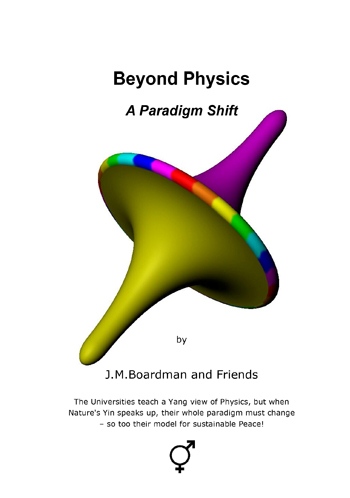 PDF eBook: 420 Pages, with colour illustrations.